Interested? You can find THE IMPOSSIBLE VASTNESS OF US on Goodreads, Amazon (US, US eBook, UK) Barnes & Noble, iBooks, IndieBound, GooglePlay and Kobo. Samantha Young is the New York Times, USA Today and Wall Street Journal bestselling author of adult contemporary romances, including the On Dublin Street series and Hero, as well as the New Adult duology Into the Deep and Out of the Shallows. Every Little Thing, the second book in her new Hart’s Boardwalk series, will be published by Berkley in March 2017. Before turning to contemporary fiction, she wrote several young adult paranormal and fantasy series, including the amazon bestselling Tale of Lunarmorte trilogy. 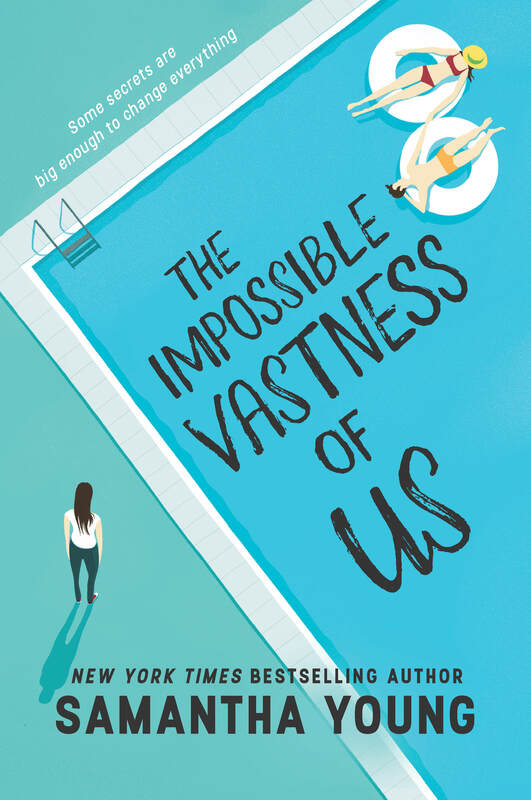 Samantha’s debut YA contemporary novel The Impossible Vastness of Us was published by Harlequin TEEN in eBook and hardback June 2017. Samantha is currently published in 30 countries and is a #1 international bestselling author. Catch up with her online on her website, Facebook, Twitter, Instagram, or Goodreads.